Professor Kills It With Colorful Tech Brain Dress #WearableWednesday « Adafruit Industries – Makers, hackers, artists, designers and engineers! Marlene Behrmann, Cowan Professor of Cognitive Neuroscience at Carnegie Mellon University, recently received the honor of being inducted into the National Academy of Sciences. Of course there was the question of what to wear for the ceremony, and Marlene decided to design her own dress resembling the brain, with the help of costume maker, Sophie Hood. Marlene started with the fabric creating a design with images of her own brain showing the sulci and gyri, and had it printed through Spoonflower, an online design service. Sophie worked on the design and also integrated the electronics. 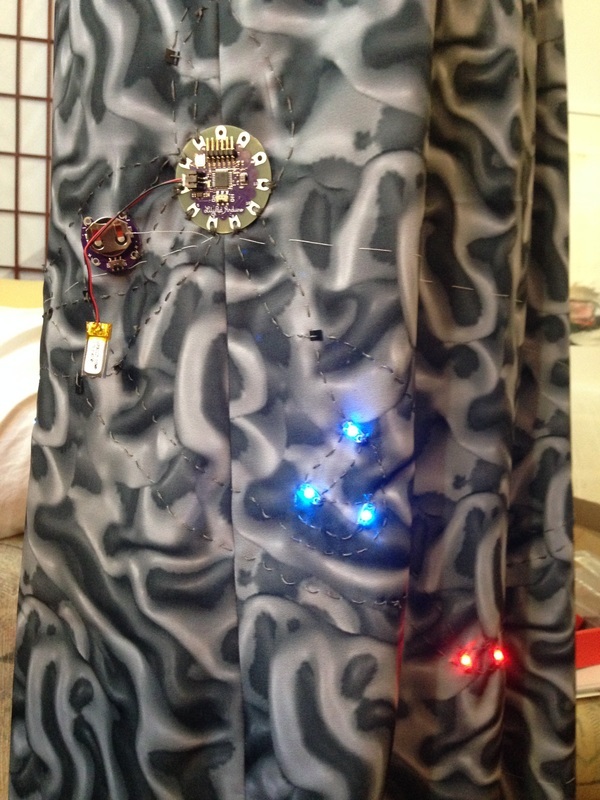 The dress uses a Lilypad Arduino microcontroller teamed up with LED sequins and a microphone. The parts are concealed by ruched pieces of fabric, which add to the white matter and gray matter design. The finished dress reacts to sound, which fits nicely with the brain theme. It’s a fun piece, and you can check out more information on the project’s site. 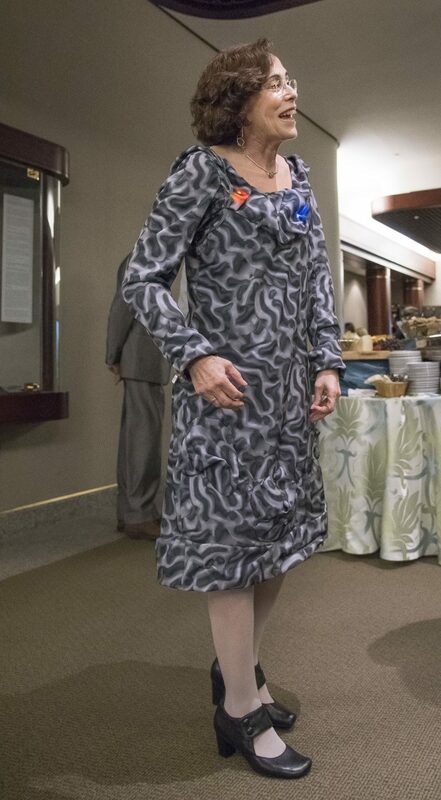 I’m curious whether Marlene realizes that we have the ability to make mind controlled dresses. Someone needs to buy her a NeuroSky headset! For those that want to get Marlene’s look, we have the perfect tutorial for a wearable that reacts to sound. Check out our LED Masquerade Masks that will twinkle based on the sound in the room. This is an easy project that you can do with a pre-made mask, or get crafty and design your own. Every day is perfect for a mask.